September 13, 2018 – Soloman Baymon, or popularly known as BodybyBay, is pleased to announce the opening of his new gym Elite Nation Fitness (ENF) in Springfield, MA. He is equally happy to introduce his new boxing inspired fitness program called, P4P Fitness. P4P Fitness is the first of its kind and a standout among the rest of the fitness programs because of its unique combination punches and club like atmosphere, which will inspire anyone to start moving. This is the only gym offering customized 1:1 personal training and group classes in Western Massachusetts owned by an African American Millennial and Pro Boxer. The new gym provides an array of convenient health and fitness choices for Springfield residents and the surrounding areas. Equipped with state of the art advanced exercise equipment, such as Aqua Training Bags and Rogue Monster Lite Racks – Elite Nation Fitness is exceptionally spacious and offers many outstanding amenities. This is also the only gym offering the new high intensity boxing-inspired program called P4P Fitness- one of the most entertaining, calorie burning workouts today. Elite Nation Fitness is pared down to the essentials needed for a great workout. BodyByBay, the master trainer, has years of experience in this industry. 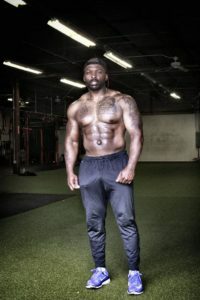 Soloman’s passion for helping others achieve their fitness goals is exhibited daily by his enormous dedication and positive interactions toward their members. Soloman and his team are excited to be in Springfield, MA. It is their goal to become active members of this community. Elite Nation Fitness is welcoming to all age groups, unintimidating, priced to suit any budget, and brings a much-required service to the community. This new gym is accessible with plenty of parking and close to all the major highways. How would you like to make friends while reaching your fitness goals? When you walk inside ENF, there is always someone with a smile on their face to say hello. Soloman Baymon and his team are excited about the opening of his new fitness gym. “The affordability and convenience of Elite Nation Fitness cannot be beaten, she commented. “Choosing this gym makes it simple and stress-free for a busy mom trying to stay dedicated to my health goals,” she noted. 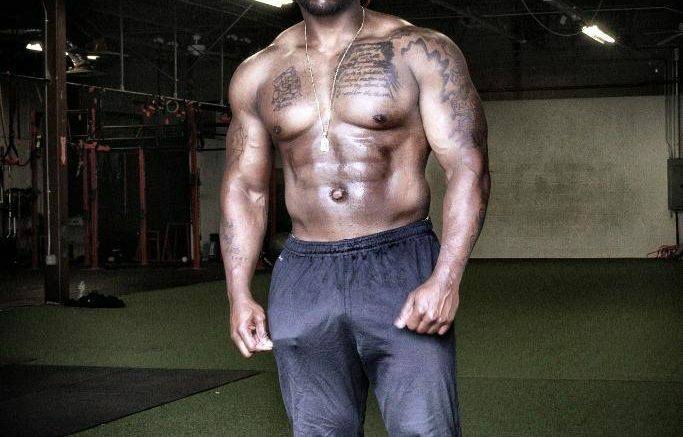 Soloman Baymon aka Bodybybay is a professional fitness trainer with over 10 years of experience. He has trained several high-profile clients and is known for being able to sculpt a female’s body naturally while keeping her feminine curves. He is the Founder of P4P Fitness and Co-owner of The Elite Nation Fitness Gym a private fitness studio located 138 Switzer Ave Springfield, MA., specializing in Personal Training, Group Classes, and Athletic Development. He is an award-winning entrepreneur and philanthropist (100 Men of Color). He is also a former Professional Boxer and Standout Amateur Boxer 21-1, and former Golden Gloves Champion. Solomon was the Massachusetts Football Hall of Fame Inductee – over 4,000 career rushing yards. He is a highly decorated Correctional Captain (Connecticut). He has trained a variety of pro athletes in a variety of skills from strength training to agility and speed. Soloman regularly holds fitness clinics called “Fitspiration” for elementary, middle school, high school and college-aged student athletes. For more information about Elite Nation Fitness, please feel free to visit his new gym or contact customer service at 1-860-322-7865. Be the first to comment on "Elite Nation Fitness Announces its Grand Opening in Springfield, MA"